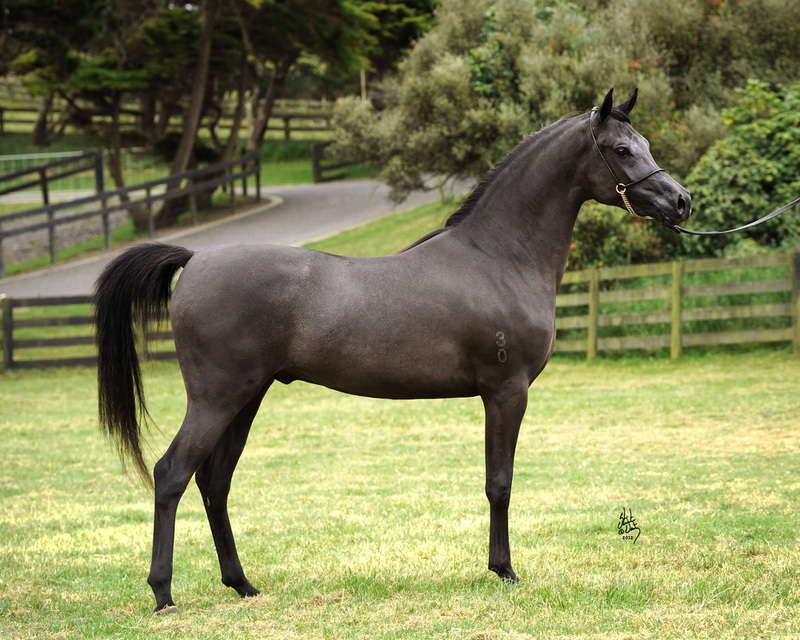 SALAM ARABIANS is beyond excited to announce that the magnificent straight egyptian, 2011 New Zealand National Champion Colt, RNZ SCORZA (Simeon Saaraaf x Hu Alimaana) will be standing his first season at stud with us here in Australia! We can't thank Fanus & Ria Crous enough for making this possible. Scorza is all black with no white markings. 15HH. 3yrs old in August. Absolutely outstanding conformation, type and movement. Strong black breeding on both sides of his pedigree including a line to the famous black EAO stallion ADHEM! A world class colt ready to breed world class foals! Congratulations to Marie and John Hogan of QLD on the purchase of the superb filly, Salam Bint Estelle (Salam Dark Image x Bremervale Estelle). Marie and John already own the gorgeous straight egyptian colt, Salam Al-Ashab and Binty will be a wonderful "wife" for Ashab in the future as well as a brilliant show filly. We wish Marie and John all the best with her. Congratulations to Brett and Veronica Austin of Colourite Arabians near Grafton on the purchase of our precious and beautiful straight egyptian stallion, El Zahabi Attar (El Arab Nizik x Essence Of The Rose). It wasn't an easy decision to sell Attar as he had been one of our "boys" since he was 7 months old and we love him dearly, but we knew that he would have a great future in Brett and Veronica's hands and that made the decision easier. We wish them all the best with Attar. After some 15 yrs since setting foot in a showring, we decided to take our magnificent senior stallion, Sabtah Nassor (Desperado x Clifton Park Nefisa) to our local Quirindi Spring Show. It turned out to be a lovely and fun day out and a very successful one too! Nassor brought home a 1st, Champion and Supreme in his breed classes plus a second in Classic Head, with the judge commenting on how beautiful he is, how well behaved and how lovely his workout was! 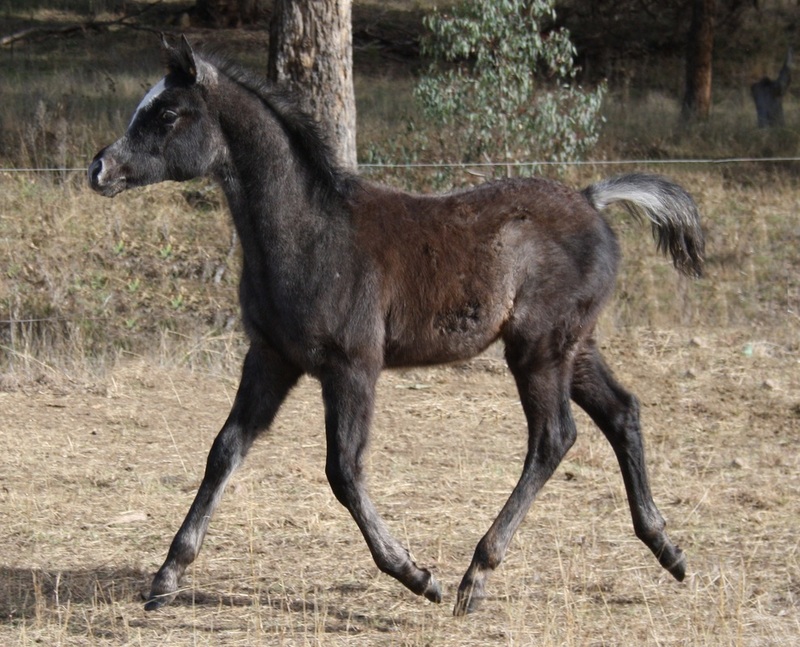 We have taken the next step in our black breeding program with the exciting purchase of the exquisite black straight egyptian colt, Zhivago BA (Khabiseh x Rothlynne Oracle). Thanks to Cheryle McMillan of Buraba Arabians for giving us the opportunity to add Zhevvy to our stallion line up. Visit his page here on our website under the STALLION tab. Congratulations to Robyn Osman & Peter O'Connor of Shifting Sands Arabians on the purchase of our beautiful Desperado daughter, Bremervale Estelle. We are lucky enough to have Estelle's superb daughter, Salam Bint Estelle by Salam Dark Image to carry on her mother's line here. We wish Robyn and Peter all the best with the lovely Estelle. Congratulations to Marie Hogan of Qld on the purchase of the exotic and beautiful straight egyptian colt, Salam Al-Ashab, the first foal by the superb young straight egyptian stallion, El Zahabi Attar (El Arab Nizik x Essence Of The Rose). Al-Ashab's dam is the lovely Joda Al Sharaf (Joda Aly Dahr x Tarong Sharaf), currently on lease from Allyndah Arabians. We wish Marie all the best with Ashab. We are very excited to announce the purchase of the lovely paint bred mare, Bel Air Miakoda, from Julie Murray of Willomere Stud in Victoria. Bel will be bred to Salam Dark Image this coming season and we can't wait to see the result of this mating. Thankyou Julie for selling her to us. Congratulations to Debbie Comini of Victoria on the purchase of the lovely, tall straight egyptian mare Belbowrie Desert Princess (Rothlynne Blackhawke x Princess Of The Nile). We wish Debbie all the best with her. How exciting!! 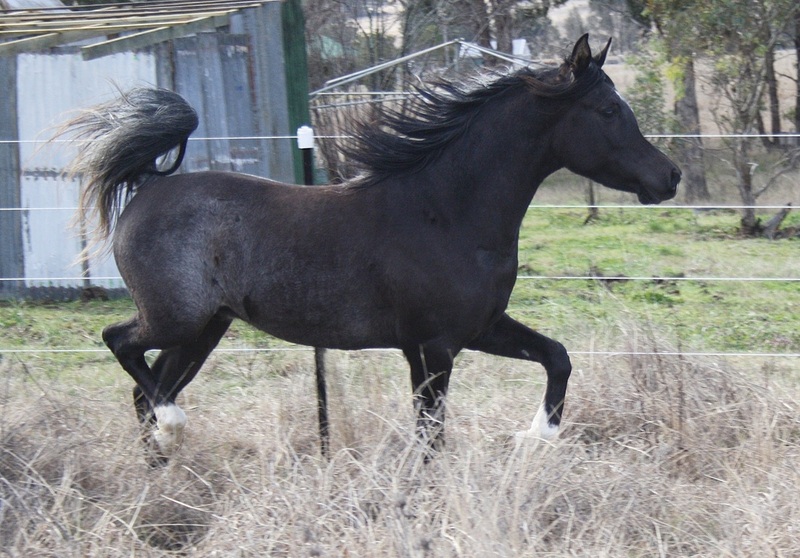 We have finally found the beautiful black straight egyptian mare that we have been looking for for so long! The exquisite Champion mare, Shaylen Park Ooh La Laa (Armageddon x Shaylen Park Purrfection) has arrived at Salam Arabians and we have so many plans for her. Taddy, as she is known to her friends will be bred to the magnificent straight egyptian stallion Jodar Antar El Dine in 2012 for what we know will be a superb foal. 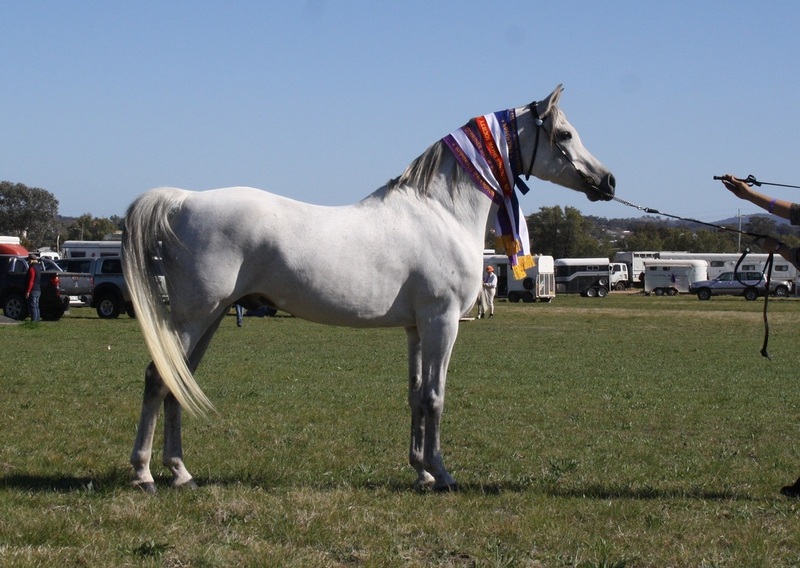 Thankyou Kerry of Shaylen Park Arabians in WA for parting with this exquisite mare. We have moved to our new property just down the road from our old place, on the edge of the pretty village of Wallabadah, just off the New England Highway at last. 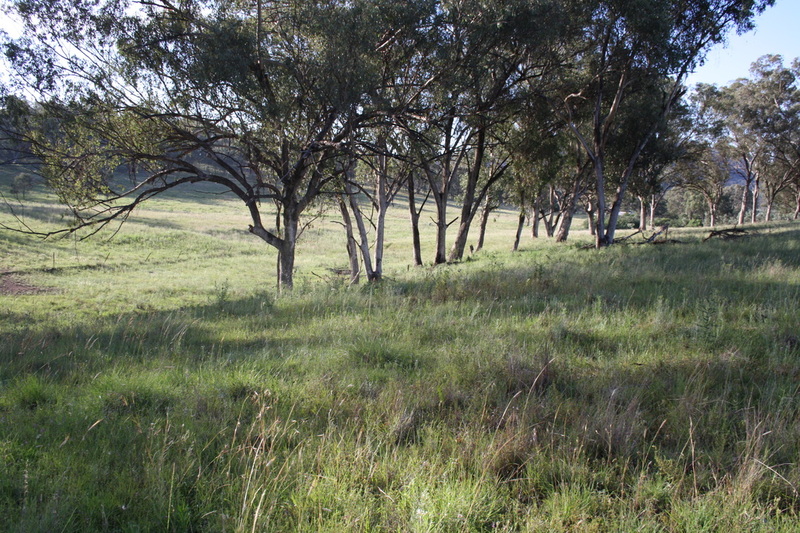 Its a very old 33 acre farm that needs heaps of cleaning up , re - fencing and the old cottage needs major renovations, but it is quality country, very pretty and just the right size for us now. Our third and last foal for the season, (albeit late in the season) is a beautiful black/grey straight egyptian colt by the gorgeous El Zahabi Attar from the lovely Joda Al Sharaf (Joda Aly Dahr x Tarong Sharaf) we have named him Salam Al-Ashab. He is the first foal by El Zahabi Attar and bodes well for his future as a top class breeding stallion! We are thrilled to announce the birth of a gorgeous bay filly by our wonderful Salam Dark Image from the beautiful Desperado daughter, Bremervale Estelle. This is Estelle's first foal and she is superb. Stelly is a fantastic mum! We have named the baby Salam Bint Estelle. She is our 2nd foal of the season. Our first foal for the season has been born! A magnificent grey colt with extreme type by Salam Dark Image from our beautiful white 20 yr old Al Borg Nasar daughter, Salam Macushla. This baby is just gorgeous and we have named him Salam Gehazi.